12 :: Sittingbourne Golf Club is known for its challenging and well maintained course, friendly welcome, well stocked Pro Shop and excellent bar and catering facilities. 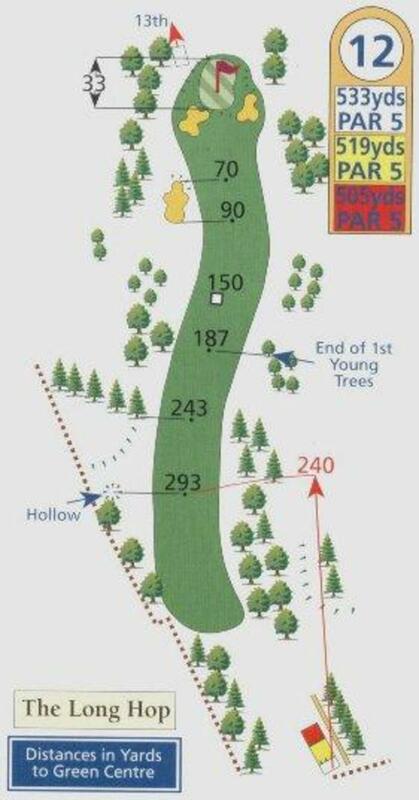 A great Par five where the emphasis is placed on the tee shot. OOB lies in wait to the left whilst the slope feeds the ball down to the right. The longer hitter who can get the ball round the corner can reach the well-protected green, which slopes right to left, in two.